At San Diego State University’s College of Engineering, the rapid asexual mitosis of comp sci students has engendered a problem: there are more students than lab computers. The iPad to the rescue! 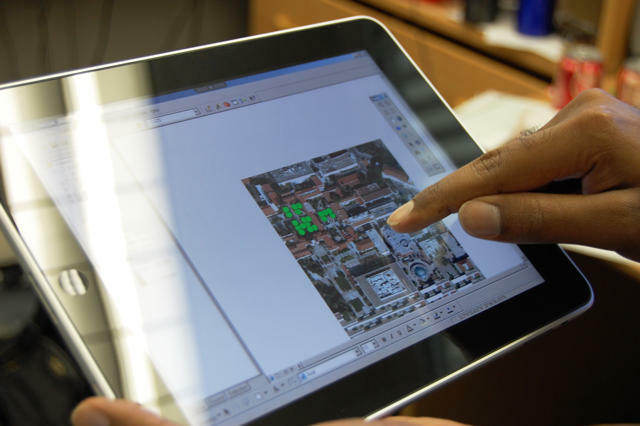 By rebuilding its web server infrastructure to support virtual computing through Mobile Safari, almost all of the students at SDSU are able to do most of their work on the go, whether through the iPad, iPhone or Android (boo). The main goal of the program? To free up valuable lab time. The advantage here is that of the thin client: because the iPad or iPhone are capable operating as a mobile terminal, the raw horsepower of their ARM architecture is not a consideration. All that matters is a medium-to-fat pipe. Right now, over three hundred and fifty students are signed up for the program, and doing some to all of their work remotely. But perhaps the most surprising thing? The iPad and iPhone sometimes do their calculations better than the actual lab computers on some applications. Must be the A4 secret sauce.